I'm trying to become more active on this forum (I spend a lot of time on explorerforum.com and I occasionally watch toyota-4runner.org). Anyway, I'm in the Athens area about half the year, but originally from FL. I currently own a Greenish Brown 08 Ford Sport Trac with some Grabber AT2s; however, I'm trying to ditch it (trying to score an internship over the summer to get the money to make the switch). 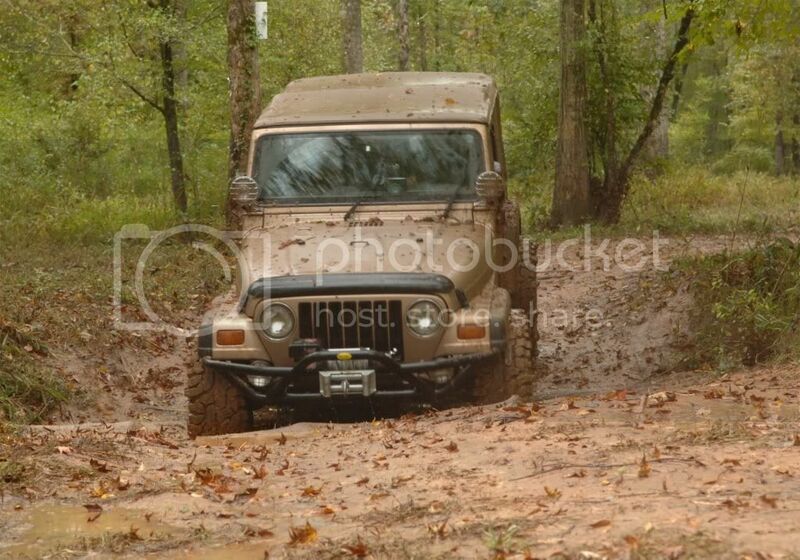 You'll probably see me posting around the KJ/KK sections randomly, I have a fair amount of offroad info. stored in my brain (sorry - unfortunately I don't know how to weld or useful stuff like that). 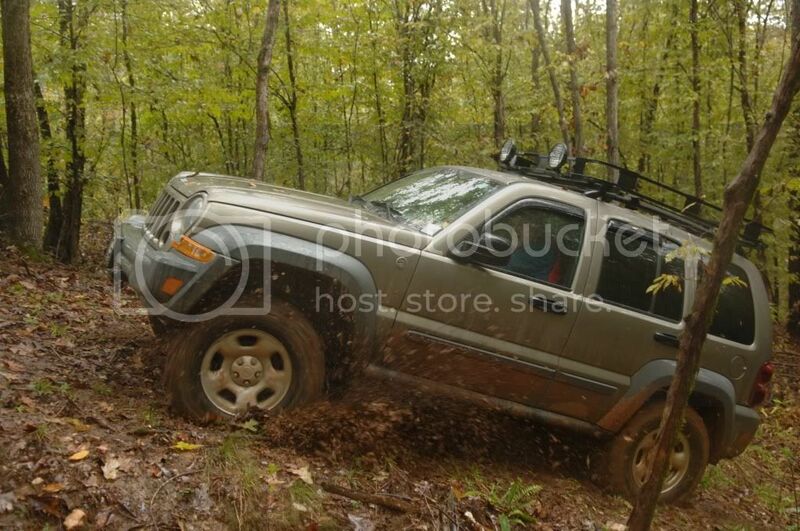 If you all want, I'd be happy to tag along on a trip (w/o my truck on the trail -- no lift, terrible angles, etc. ), but I'm usually fairly busy. While I'm at it, serious question, if I did make the switch: 06-07 KJ (petrol), 09 KK or 05 4Runner? I don't really want a 4Runner all that much just because it's an Asian import, but the darn things get rave reviews for reliability and ease of upkeep (also cheap to lift). If I got an 06-07 KJ, I'd have enough money right off the bat to get a No-Slip Rear, Skinksliders and Soft 8 Steelies (as well as some more AT2s, diff cover and Front Steiger Window fix, I'll just prop up the rears). I know most people lift, then add new diffs, but I'm more concerned about traction loss than ground clearance (KJ's have ~9" stock anyway, right?) Anyway, I'm pretty sure I just plain like the KK best of all, but then I'll only have money to do a diff cover and some slightly-oversized AT2s. If I got a 4Runner, I'll only have enough money for some AT2s, powdercoated wheels and I'm leaving money aside to debadge it (completely, with custom billet to go in place of the Toyota stuff because I'm that against openly owning a Toyota). I thought about maybe getting a Gen1 Xterra as well (I still dislike Nissan, just less than Toyota), but the trannies on those seem to be trash. No matter the vehicle, I'll be buying front Weathertech Floor Liners, Neoprene seat covers (coming from leather on my ST, hope it works out, but my Ford leather is crap) and a 48" Hi-Lift with the Offroad Base, Handle isolator and the wheel-lift accessory. Also, I'm semi-cautious about getting a KJ just because even I have been susceptible to the stereotyping of KJ's as "girly" cars (around 3-4 years ago that is), but now I know they are really capable and quite awesome; however, there is still a little voice in the back of my head that makes comments - especially with how many stock KJs driven by girls I see. But that's not to say KJs aren't awesome, but you see where this is going. Ultimately, I feel I can't be an unbiased judge of the vehicle. I'll probably just stick to FS roads most of the time no matter which vehicle I get, but I'd definitely be open to getting more intense as the funding and subsequent mods permit. Well aren't I verbose? This always happens - everybody still with me? Usually only happens when I talk about offroad related stuff. Thanks and again - hello. Welcome to GA LOST (and tell everybody your name, XXXXX... LOL)!!! The earliest 02 KJs came with a Dana 35C rear axle (a mixed blessing -- not as strong as the 8.25" but more aftermarket options), a 45RE transmission (a real light truck transmission), were an inch higher (pre-lowered) from factory, but came with rear drum breaks. The later 02 models came with the Chrysler (Corporate) 8.25" axle (another mixed blessing because it is stronger than the D35C but does not have as much support), the 45RLE, were still an inch higher, but still had the rear drum breaks. 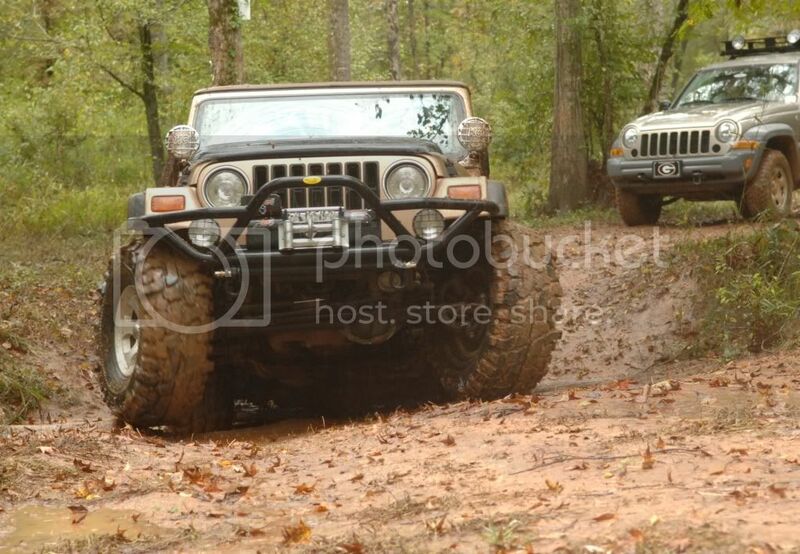 The early 03 KJs (what I consider to be the best compromise) have the 8.25" axle, the 45RLE, were still an inch higher, AND had disk breaks all around. By late 03, they had changed the 45RLE to the 42RFE (minivan transmission), lowered the ride height because of Consumer Reports, and this would be the basic set-up, with the 8.25" rear and disk breaks for the rest of the KJs run through 2007. 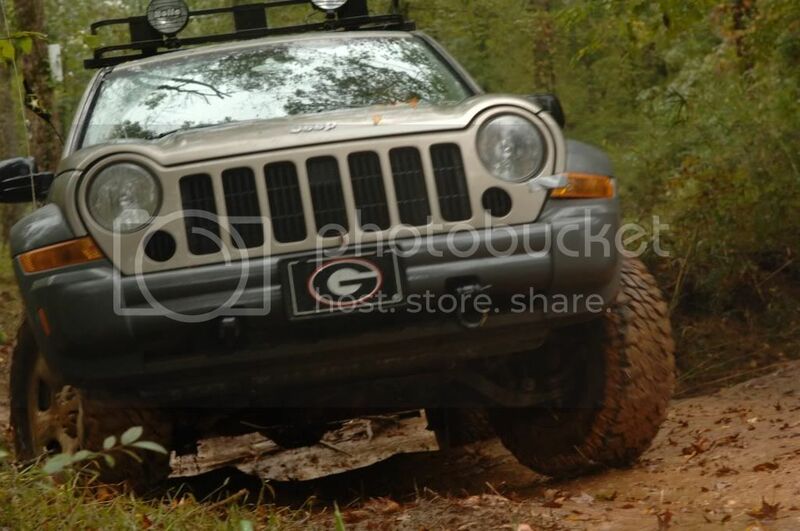 If you check the current Craig's List for Athens you see quire a number of 2002 - 03 KJs for sale right now. Some of them are even 4x4s. You might want to consider checking them out and crawling underneath to see what they have. Wow, way to go, call me old fashion, but I don't like the whole internet knowing my name. Anyway, good to know about the KJ's, I just figured 06-07 to get the least amount of mileage. I'll definitely look up some 03s (btw, same info applies to CRD?). And thanks for the craigslist idea, but I'd probably buy the vehicle back when I'm in FL. Sorry about that. Previous post edited. We are a pretty open and family-friendly bunch here. The Mods & Admins keep out most of the bad elements. Oh, your thinking about going for a lower mileage ride is sound, but the truth is that the chances are that most of the 06-07's that you find for sale are going to be up for sale not by people who change vehicles every 5 to 6 years but by folks who have ragged them out and will prob have as many miles on them (and worse wear) as an 02-03. I can't tell you as much about 05-06 CRDs (the only years they made them for sale in the U.S.) as I have found them to be an entirely different breed (that requires much love to keep on the road...). Try talking to Dan (dgeist), the LOST webmaster, who owns a CRD and lives in ATL. If you are going to be looking for a KJ in FL, I would suggest giving Terry (Fulltimer) a shout. He lives in St. Augustine, is retired military, and travels all over the place wheeling his 2005 KJ Limited "Black Hawk" (named such because the whole thing is coated in Bed Liner), and would prob be a good resource. Hello FLOffroad, and WELCOME! How 'bout we call you FLO? (Just kidding). You'll find this a great site (LOST) with good people and lots of good info. Colin knows what he's talking about (just ask him ) and can direct you to other resources and contacts. When you get your rig and start the mods, if you don't have a place to work on them you're more than welcome to borrow my garage, me, my son Scott, our tools and expertise if you want. Of course that's when we're not using it on my KJ or his Chevelle. I live in Oconee Co. near North Oconee High School. Stephen and I are researching a FS road run in N. GA soon, since Durhamtown is too wet. We're looking at Upper Hightower Rd., Persimmon Rd. or Tate City...somewhere around Clayton or Dillard. We'll keep ya'll posted. Keep checking the GA page for updates. Thanks blackwell, I definitely get a good amount of info out of this site, and get more at least once a week. Also, I have no idea where North Oconee High is - but that's what happens when you're not from Georgia! At least I know where Oconee county is. Only stuff I know around here is the Uni, Walmart, Publix, the bank, 4-5 FS Roads and DP (which isn't even really near Athens). BTW - Hopefully I'll get a hold of my DP photos from this past Saturday to share with you guys soon. It was crazy fun with a rental Rhino, but I agree that it wouldn't be the best for 4x4'ing with your own vehicle - not to mention that the new 4x4 park is crazy! Looking forward to the photos. 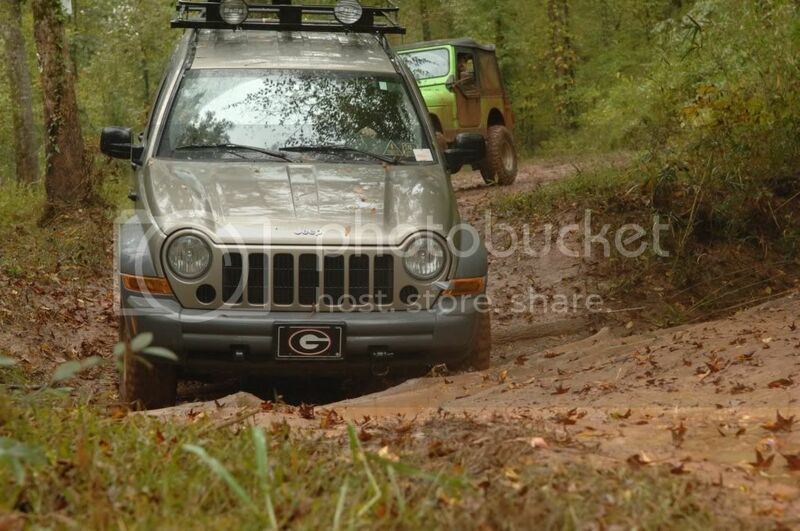 Also, if you've been to DP and the new Jeep trails we would love for your input as we've been trying to do a run on them when it's not so muddy. Any info would be helpful in planning. I took a day back in December to walk a fair amount of DP's new truck park. It's pretty crazy over there, I'd be afraid to take anything but a trail rig down at least half those new trails (lots of intense slopes where it'd be easy to get stuck badly or have some body damage). 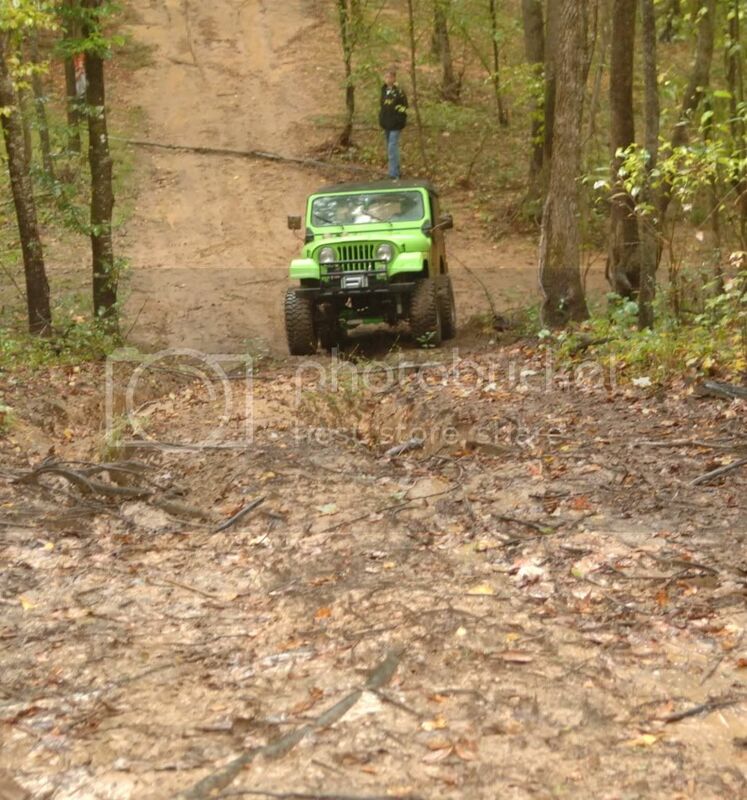 They have mud runs over there, which could be fun, as long as you have somebody standing by a winch or two. 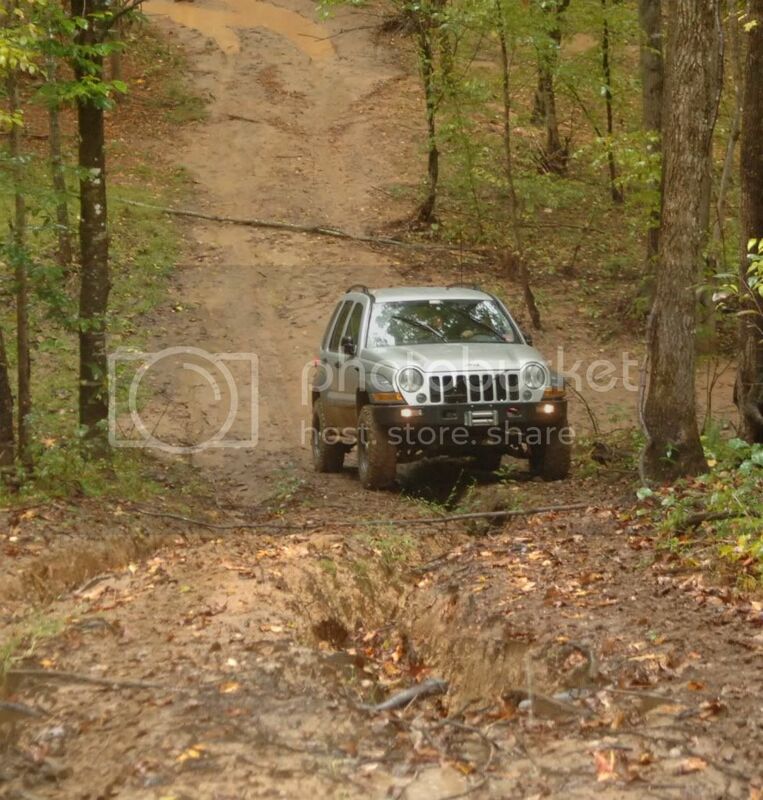 Also, some of those trails are pretty narrow, I don't know if the KJ would fit - might though. The main access trail could definitely be done by most (even though there's a pretty steep descent towards the end that would be a pain to get up if it was wet), but most of the side trails looked pretty crazy. It seemed like I couldn't find a trail that didn't have at least one semi-impossible obstacle, but you could still check it out. I've been over at their old 4x4 park over the summer, and that's a lot more manageable. If you want, you could (or I'd be happy to join you, depending on the time) run over to DP and just survey the trails out. I walked about 40% of the new truck park area in about 2.5hrs, and given that I've never actually seen a KJ offroading, my judgment may not be perfect. 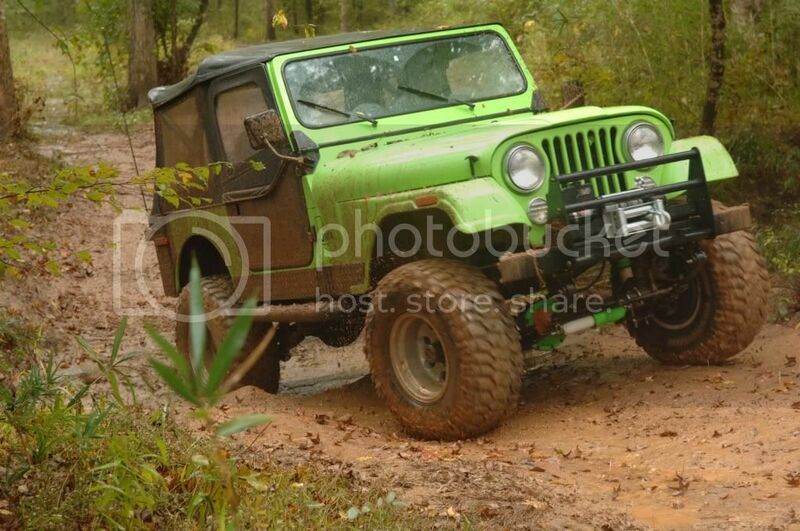 I've never actually seen a KJ offroading, my judgment may not be perfect. 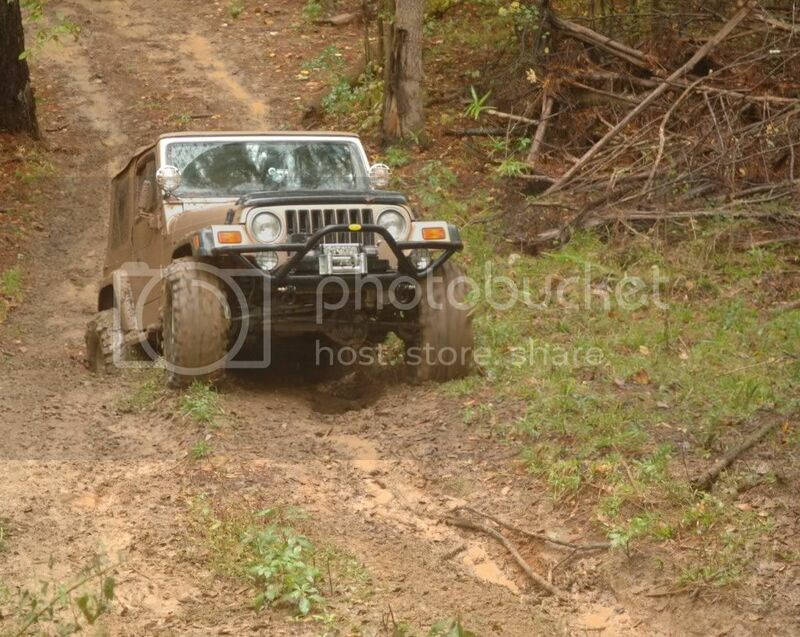 Here are some pictures of ECS-09 at Coal Creek OHV Park in the rain. You'd be amazed at what a KJ can do. 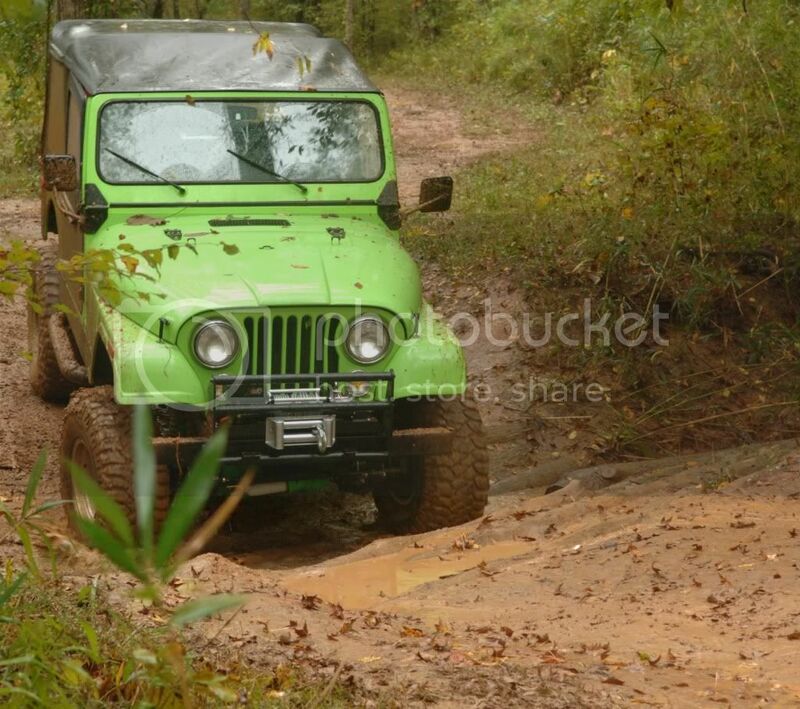 If you haven't already, go to the "Events" section and check out the ECS pictures and you'll see that a KJ can keep up with most anything...or at least try. 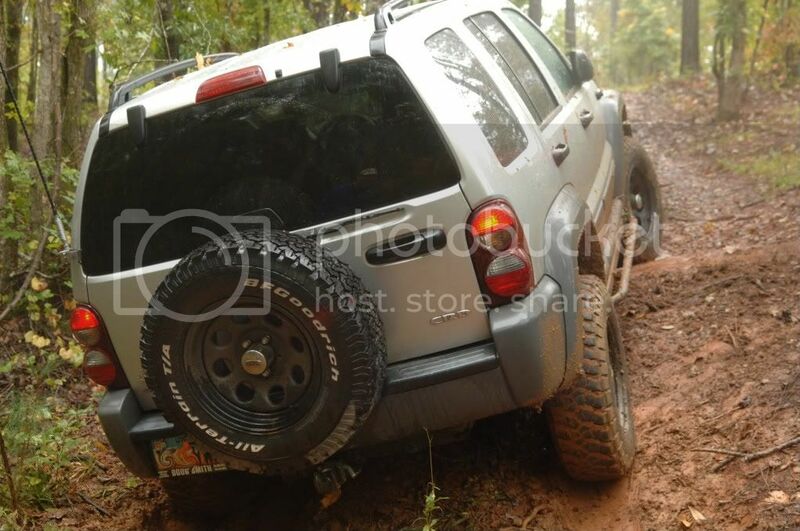 Wow, pretty crazy stuff on that ECS trip, but I'd still be cautious at DP's new 4x4 area. The old 4x4 park is much more tame, and even it has some pretty ridiculous stuff. But, I'd be happy to see you all go out there and wheel it. 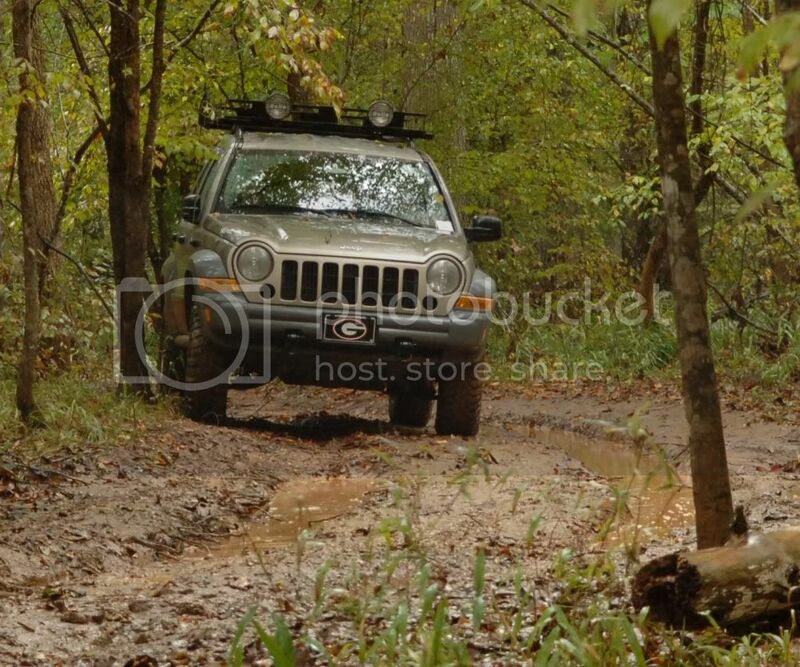 I went to DP last year with the "Jeep Masters" Wrangler club from Augusta that had one member with a KJ and it drizzled rain all day....what a mud hole. We did fine, just couldn't get up the steeper hills and had to turn around a couple of times. Here are some pictures taken during that run. 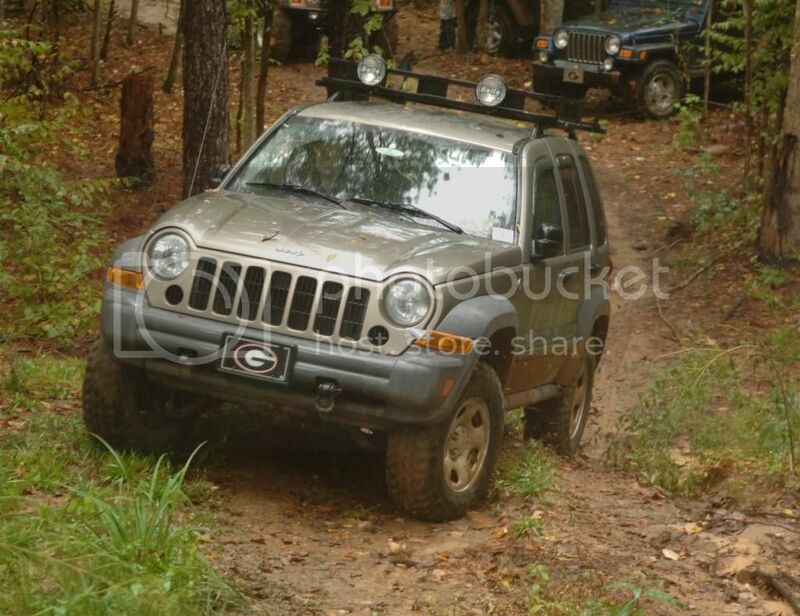 Today I went to Durham Town Plantation with the local jeep club (Jeep Master Of Augusta aka JMA) to play in the Georgia red clay. Well having grown up out west this was an educational experience for me. Luckily We met up With JHBlackwell and his daughter. 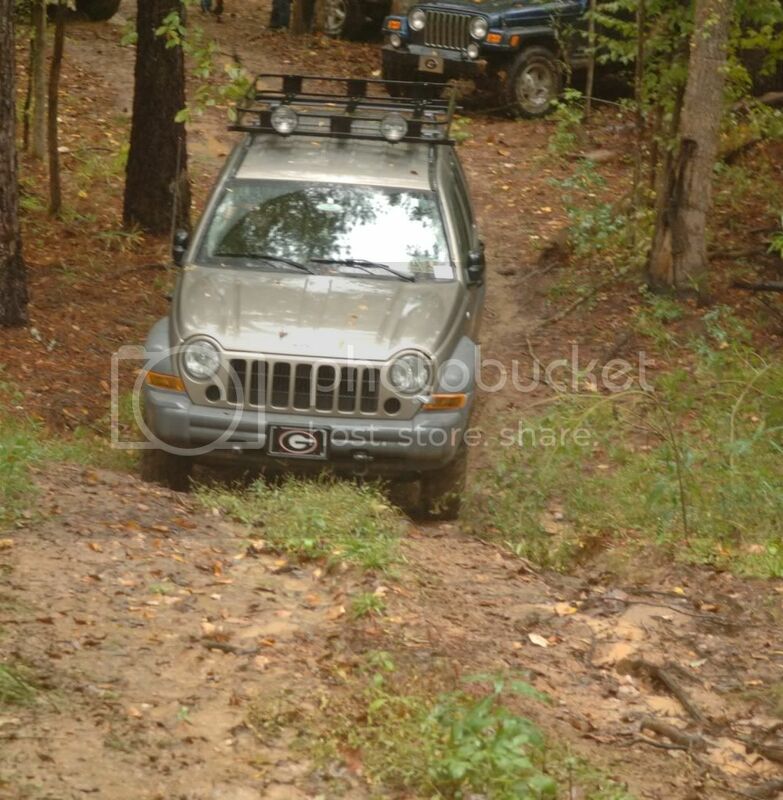 All in all it was a great time, though we spent more time recovering than wheeling, but what would you expect in clay pit during the rain? 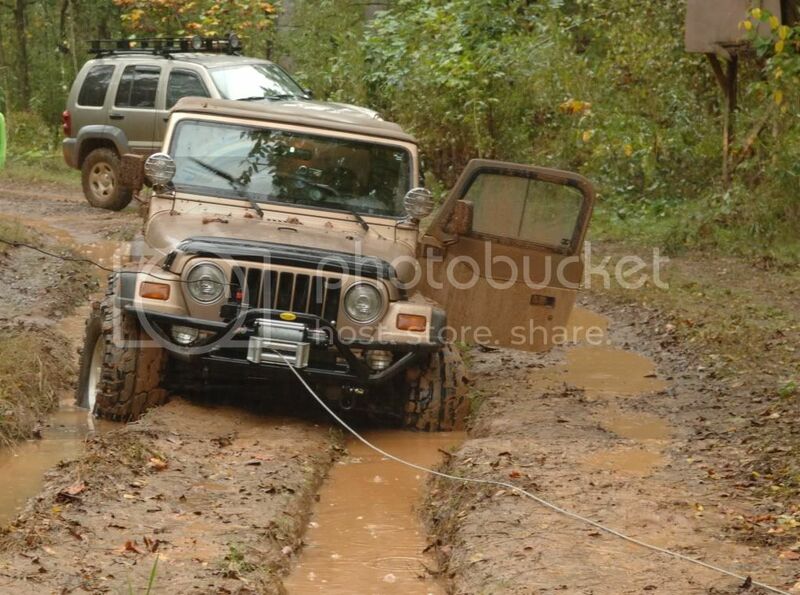 Here is a look at Jeep eating ruts that come out during the rain. With that in mind Mr. Blackwell skillfully avoids becoming the ruts next meal. Next was the hill that only the Pink Jeep got up.... since the pink Jeep made it there are no pictures of her, we are wallowing in our sorrow with pics. If my commentary is overly annoying, well look at what time I posted this, I am a bit punch drunk. We had fun, I hope all of you had a good weekend. Like I said....you'd be amazed at what a KJ can do.